Sign up and receive Property Email Alerts of Houses for sale in Forest Town, Johannesburg. Nestling within a gated road, this home, with every modern convenience and high end finishes will appeal to professional couples seeking the perfect urban lifestyle. Indoor-outdoor flow is enhanced by aluminium slide-away windows, revealing ‘The High Line’ inspired garden, within a harmony of superior materials – steel and glass; concrete and timber – combine in a welcoming womb of luxury and style. Two bedrooms en suite – main with generous walk in cupboard/dressing room; a free flowing living room leads to the entertainment deck, lap pool and garden. State of the art SCIC kitchen with gas/electric appliances. Double garage and substantial basement storeroom. Staff Suite. Exceptional security. 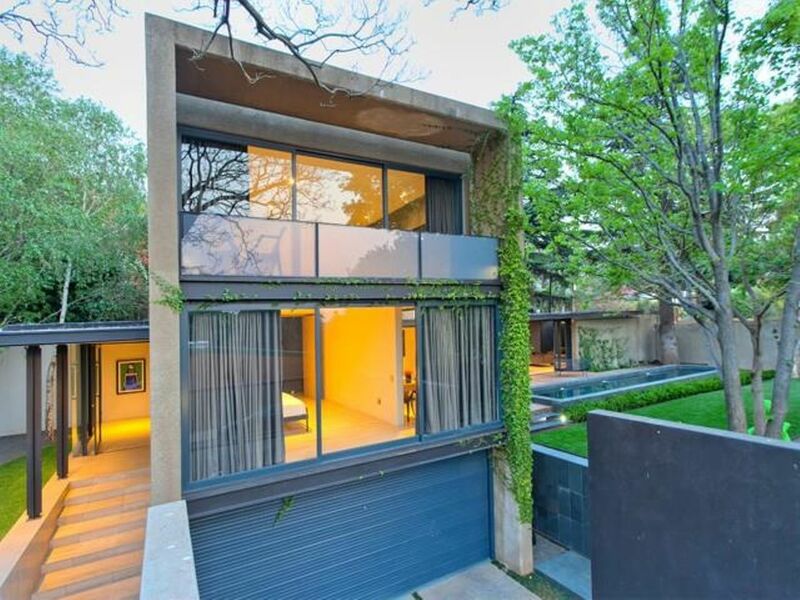 Sign-up and receive Property Email Alerts of Houses for sale in Forest Town, Johannesburg.